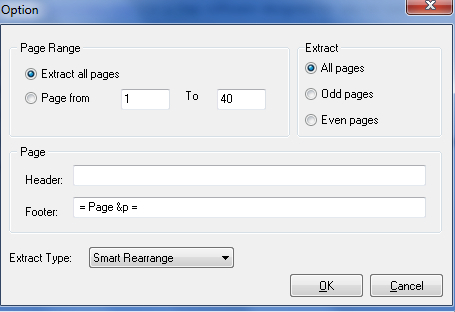 How to take text from PDF file easily by using A-PDF Text Extractor? I have a difficult task to do. My boss asked me to extract text From PDF file. But there are so many pictures in PDF files. Are there any handy methods for me to finish my work? Yes, we do have a fast application to do such job for you. A-PDF Text Extractor is a free software designed for you to take text form PDF documents for other usage. You can even set the page range. It will automatically extract text for you. What you need to do is make sure that there are texts in your PDF instead of pictures and there is no password security to protect the PDF. If you did above things, you can have your text in seconds. The operation is very easy.